As announced this afternoon at ECCC, editor Shelly Bond is back big time with Black Crown, her own creator-owned line from IDW. Bond is of course a 20 year veteran of Vertigo Comics where she shepherded such titles as Fables and iZombie, so no one is more qualified to get this kind of deal. She’s been off recharging her batteries for 10 months since leaving Vertigo last year, bot obviously she hasn’t been idle. While titles and more information will be announced at San Diego, given Bond’s track record with some of the industry’s best creators – Michael Allred and Bill Willingham to name but two – you can imagine she’ll bring the same level to the new imprint…which also has an intriguing and unique set up as you’ll read. I was given the chance to talk to Bond a bit about Black Crown in advance of the announcement, and talking to her, her enthusiasm and excitement about this project was totally infectious. With the addition of Berger Books at Dark Horse and now Black Crown at IDW, two of the strongest editors in recent comics history are back to make their mark on an comics industry with more opportunities and stories to tell than ever. Thanks to Steven Scott at IDW for setting this up, and Bond for taking the time to chat. THE BEAT: I wanted to talk a little bit about your recharging time and maybe what happened in those 10 months that led to Black Crown. SHELLY BOND: This is the first time in my life that I had a summer off since nineteen eighty-something. I really enjoyed spending time with the family did a lot of traveling and I put together an imprint. In the fall, I came up with a pretty singular vision of what I always wanted to do in comics, with no shackles. This is it. Black Crown really represents everything that I stand for. I spoke to a few different publishers and picked IDW because they really get my vision and they have a lot of energy. Chris Ryall [IDW’s chief creative officer] reached out to me on the day that I left DC Comics and he said, “if you’re interested in staying in comics, drop me a line. I love your books, I’ve followed your work for years and would love to talk about working together in the future.” And that meant a lot to me. I didn’t know Chris. We had never met but I never forgot it and I sent him my first resume. THE BEAT: Wow, so this isn’t a case of IDW saying oh we need a new creator owned line, maybe Shelly Bond will head it up. This is your baby from stem to stern? BOND: Yeah. Totally from scratch. I really enjoyed the time off. It let me see comics from the other side. As you know, Heidi, we’re avid comics readers. When you’re reading for pleasure, when you’re not just reading everything that crosses your desk, it’s a different experience. I’ve been scouting talent, I’ve been going to shows because I love comics and I love conventions. What you’re going to see with Black Crown is a lot of familiar faces, the people I’ve loved working with in the past. But also new blood. There’s a tremendous amount of young talent out there and it’s exciting to bring them in and help them hone their skills. I’m looking forward to doing it again with Black Crown. THE BEAT: Oh yeah. I’ve noticed that there are more cartoonists out there and their chops are better and better early on. You go on Tumblr and you see people you never heard of doing fantastic work. 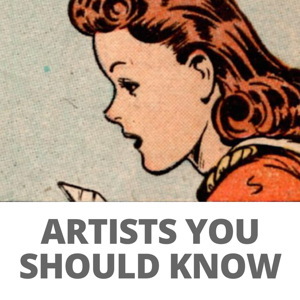 As you were looking around for new talent, what were your observations of how cartoonists have developed? What was the state of the industry? BOND: It’s electric. The state of the industry is electric right now. There are so many ways for people to show their art now unlike when we were starting out in comics – and I won’t say how long ago that was! When people had to pound the pavement and go to shows and try to show their work to editor. It was hard to even get to the table in those days. What I’m seeing today, it’s so easy to make your art accessible. I used to say to people when I’d talk at SVA or conventions people ask “How do I get into comics?” and I’d say get your work published. Get in print. Sometimes people would huff and puff but it’s true. Create a mini comic. I discovered Becky Cloonan’s work back in the day at Hanley’s Universe when she had mini comics and I just picked them up, followed her work and gave her her first Vertigo work with American Virgin. That’s all we had back then was conventions and Xeroxes. But now it’s incredible! Social media has been a big help. Young cartoonists are getting better at managing their work too. It’s all about identity, presenting yourself. I think as editors, we’re selective, and know not everything that looks good on the screen would make a good comic. What’s exiting for me is to see the potential to look at a new talent, whether writer or artist. and introduce them to a seasoned pro. I still think that’s one of the greatest joys about being a comic book editor, uniting two talents that would never in a million years meet and bring them together to create an unbelievable story on the page. THE BEAT: Let’s talk about the set up of Black Crown. It’s not just an imprint, there’s a concept behind it too, right? BOND: There’s a huge concept behind Black Crown but I can’t say too much about it yet. The idea is that the Black Crown is also a pub that’s home base for a shared environment. 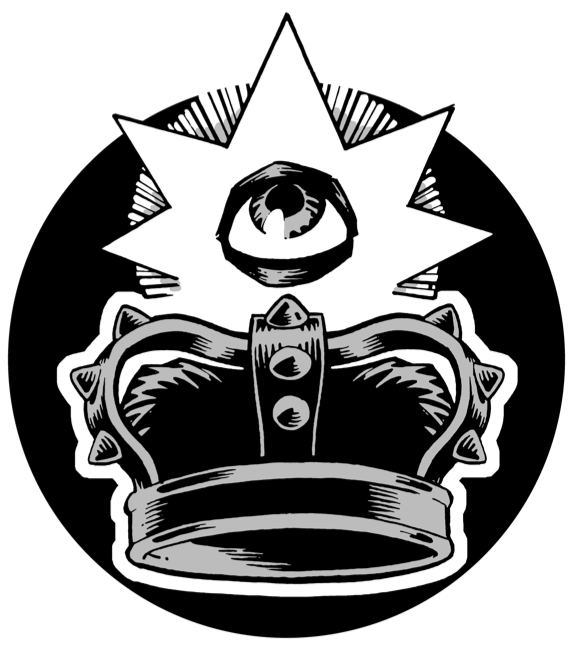 All of the creators that are under the Black Crown imprimatur are invited to interact. I call it a shared landscape. So many creators I’ve worked with over the years actually admire each other and want to collaborate, so it gives them that opportunity. But all the books are singular views. You can interact a little bit or not at all. It’s up to the creators how much they want to participate. THE BEAT: But it is creator owned? BOND: It’s all creator owned. You’ll hear more about the concept in the months to come. The thing that’s so important is that the books are weird and frenetic, dark and deep and they inspire multiple reads and amazing soundtracks. And they also have black humor which is something we all need right now in these crazy times of social and political rhetoric. We need books that take us into interesting places. These are books that are going to step up and make a statement. THE BEAT: Will it be periodicals, or graphic novels, a mix? BOND: We’re looking a variety of formats, monthlies, miniseries, collections. We’ve got such a great lineup. I mentioned I interviewed with different parties, one of the reasons I went with IDW is they have a great energy and they totally get my vision and they love periodicals and they love collecting books. And Chris Ryall, I have to say, has done a superb job rolling out the red carpet for me and we both can’t wait to share more about Black Crown. We’ll be announcing more in the next few months. We’re announcing our launch title…and it will be like a debut album. It’s a statement of intent and it will blow everyone’s mind. BOND: I can’t drop names but you can think about the career that I’ve had and the people I’ve worked with and the books that stand out and you’ll see a lot of names come back with interesting collaborators. What’s exciting about comics is when you bring these disparate people together from all different parts of the world and let them have at it. THE BEAT: Another thing that has changed since you and I started, which was just a few years ago, is the audience for comics has changed completely…for the better. Does the evolving market change some of the ideas that creators are putting out there? BOND: Well, it’s a level playing field now. There’s more inclusion. The comics industry is much more welcoming than many others in that respect and it’s allowing us to step up and really represent all kinds of ideas and characters and philosophies. This is the most exciting time to be in comics. It just is. It’s 2017 and there are so many things happening in the world and comics as an art form is unlike any other and these books are first and foremost stories that should be told in a comic book form. And it will take it to new heights. That’s Black Crown. BOND: You might have looked at our logo perhaps? It’s risky but I decided to give it a try. Philip Bond is the graphic designer of the Black Crown logo and watch this space. That isn’t what I thought you were going to ask! THE BEAT: Oh you probably thought I was going to ask about Berger Books. Well, two great editors both have their own imprints, it doesn’t seem strange to me. BOND: One thing I think so true about this, the next year in comics is going to be an epic win for the readers. That’s what’s so exciting about Berger Books and Black Crown. The timing is tremendous. It’s a great thing. 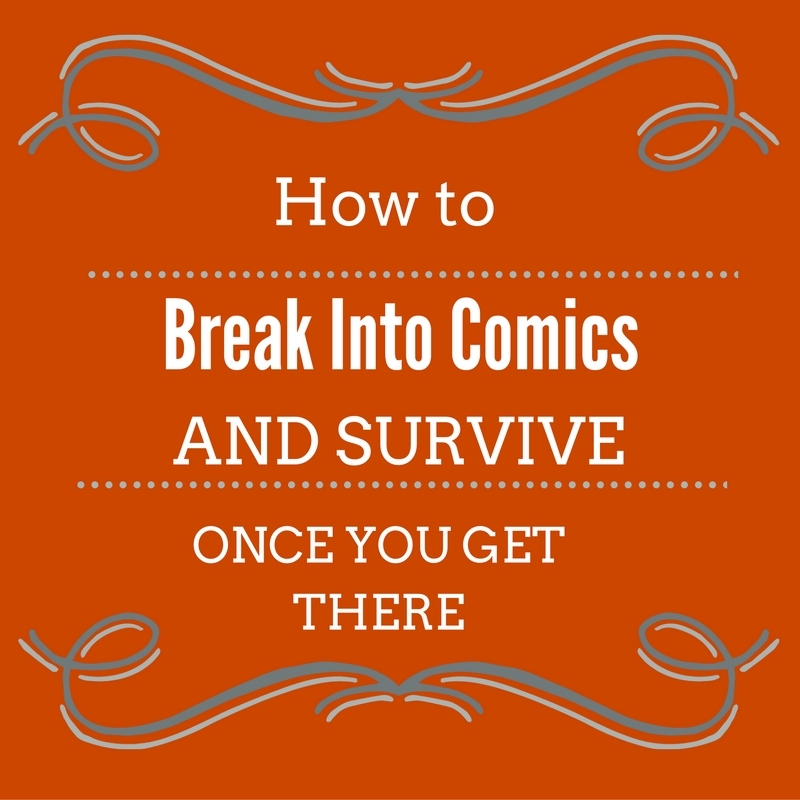 The best time for comics is right now and tomorrow and we’re all going to step up and make amazing books. The title “Black Crown” will be all-encompassing as it represents not only the name of the creator-owned imprint, but also a pub that anchors a mysterious street which connects each creator-owned title. Top creators will tell stories of a singular vision and point of view but will also have the opportunity to intersect with the tapestry of this unprecedented shared environment by way of owning storefront real estate that correlates to their particular creations. Wow, good for Shelly Bond. Great interview. An intriguing imprint, look forward to hearing more. So now we enter the era of editor-run imprints in comics, similar to what has existed in book publishing for decades. The next step? When do we see mainstream publishers doing the same, following in the footsteps of Abrams and First Second?